When I was in school, both high school and college, English composition professors would frequently remark on my ability to use very few words to say a lot. Quickly moved to the next topic. My challenge has always been to effectively communicate my original intent and when a reader quickly blows through a sentence, there may be a BIG message hidden inside. FAA's Part 5 safety assurance definition also has this problem. 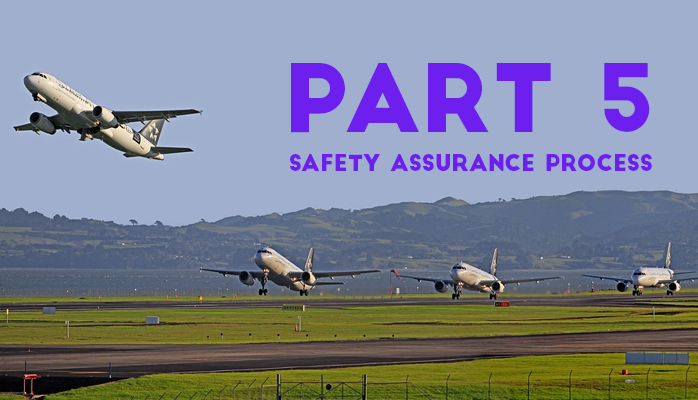 Do you really know what safety assurance is and its implications for your aviation safety management system (SMS)? We will look at four points (key phrases) of the safety assurance definition and determine whether you are prepared. Let's start with looking at the FAA's Part 5 safety assurance definition found on the Federal Register. Emphasis will be added in order to facilitate analysis. "Safety assurance means processes within the SMS that function systematically to ensure the performance and effectiveness of safety risk controls and that the organization meets or exceeds its safety objectives through the collection, analysis, and assessment of information." 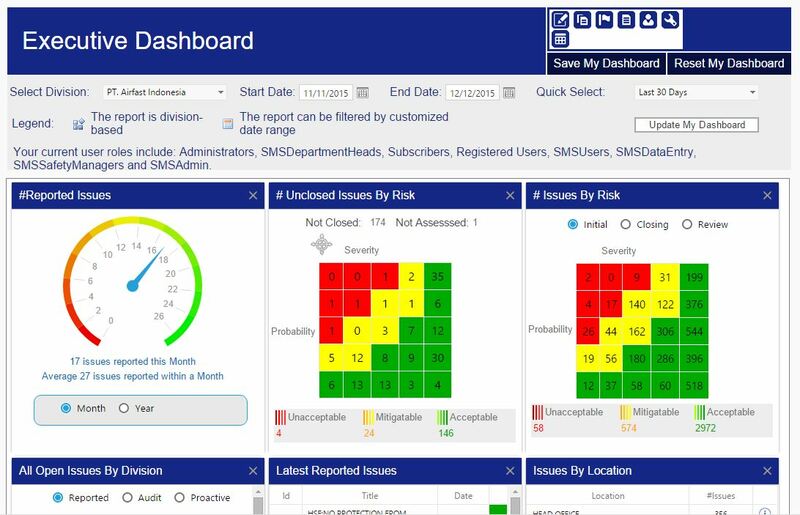 There exist processes to collect, analyze and assess safety data. When we are considering the adverb "systematically," we don't expect the program to operate automatically. However, there need to be defined processes that are followed for each activity. There should be visible evidence of these processes in effect. Common example: an airline with 750 employees has excellent documentation visibly offered to an auditor in their very impressive SMS manual. The airline may even have exceptional training records. An auditor finds that the airline managed six reported issues within the past year. Is this a safe airline? It must be. Only six reported issues? I would investigate further as to this airline's safety promotion campaigns and management's involvement with the SMS. Does the airline provide hazard identification training? To see some best practices regarding hazard identification, see the bottom of this page regarding both compliance and best practices for hazard identification. In short, you need to have documented processes and safety assurance helps ensure that these processes are managed properly. Part 5 doesn't tell you what your process needs to be, just that you need them. If you need some advice on risk management processes, here is a review. Also, AC 120-92B is a great resource if you are developing or reviewing your risk management processes. "processes...systematically...ensure the performance and effectiveness of safety risk controls"
Safety risk controls are the origin of this can of worms. This means you need a hazard register. How else can you itemize and evaluate safety risk controls? Generate reports to perform risk analysis and identify trends. You need to do all of these activities just to monitor the performance and effectiveness of your safety risk controls. Do you see a big risk in performing all these tasks manually? or with simple spreadsheets? A safety manager from a large helicopter operation in the Middle East told me six years ago that he had spent six weeks compiling data and generating safety reports for management. He knew that he could never do that again and remain an effective safety manager. Generating reports should take a few minutes, not six weeks! To duplicate this insane process year after year seemed fruitless and risky to the success of their aviation SMS. 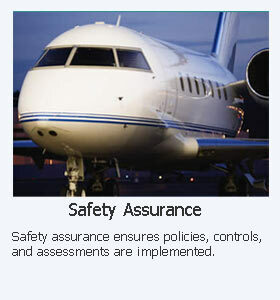 Consequently, they chose to acquire professionally designed aviation SMS database tools to reduce this burden and risk. There are too many SMS documentation requirements to perform manually if you wish to demonstrate continuous improvement of the SMS on a continuing basis. Long story short, in most cases, spreadsheets are the wrong technology to store SMS data and to monitor the performance of the SMS. Regularly review organizational safety performance and direct actions necessary to address substandard safety performance. Their SMS is performing as designed. Giving an accountable executive a spreadsheet to demonstrate performance of the SMS is like bringing a knife to a gunfight. Unless you are a very small company, do it right the first time and get a low-cost, commercially available database to manage all your SMS requirements in one system instead of distributing all SMS documentation requirements across six to eight different data management systems. Under subsection 5.3 General Requirements in FAA Part 5, you will see the phrase: "The SMS must be appropriate to the size, scope, and complexity of the certificate holder’s operation...."
Reviewing and adjusting objectives in a timely manner. Best practices recommend these goals and objectives should be tied directly to your key performance indicators (KPIs). In some documentation, you may see them called "safety performance indicators," but they in all reality, they are KPIs for the safety program. Monitoring and tracking KPIs in an Excel spreadsheet is fraught with risk. Furthermore, the task of keeping these Excel files updated on a daily/weekly/monthly basis is a disaster waiting to happen. If this sounds like you, you may want to automate these processes. There are many affordable aviation specific SMS software databases that reduce this risk. Consider this phrase "...the organization meets or exceeds its safety objectives through the collection, analysis, and assessment of information." The action part of this phrase is tied to your company's goals and objectives. Basically, you cannot have a brainstorming session at the "monthly safety committee meeting" and concoct a plan. In short, a plan is not enough. Assess reports to determine next steps to demonstrate "continuous improvement." "The objective of Safety Management Systems (SMS) is to proactively manage safety, to identify potential hazards, to determine risk, and to implement measures that mitigate the risk. The FAA envisions operators being able to use all of the components of SMS to enhance a carrier’s ability to identify safety issues and spot trends before they result in a near-miss, incident, or accident. For this reason, the FAA is requiring carriers to develop and implement an SMS." In order to identify trends, your SMS will need to store and manage data required by SMS documentation needs. Very small aviation service providers may use spreadsheets. If you are under EASA jurisdiction, then spreadsheets are not permitted to store safety report data. EASA requires a database. Spreadsheets can be used to prepare trending charts if you don't have an SMS database. I recommend that you don't rely on spreadsheets for data entry in collaborative environment where multiple managers must work on the same records. An SMS database is the appropriate technology. You will have a much easier time generating trend analysis reports and identifying trends on a continuing basis using an SMS database. Doing these tasks manually are time consuming and very risky to the accountable executive's ability to fulfill his responsibility to monitor the performance of the SMS. There are many activities involved in an SMS program. One begins to "enjoy" the depth of an aviation SMS once you glace through SMS documentation requirements. Now that we have dissected the definition of FAA's Part 5 safety assurance, you should realize that they were really saying a mouthful. The workload implications behind this definition should erase any doubt that you can manage your aviation SMS requirements using paper and Microsoft Excel. I'm hoping that you have gained some new insights into the FAA's SMS requirements. If you are not implementing an FAA compliant SMS program, similar principles and requirements hold true for other regulatory authorities. Whoever wrote the safety assurance definition has a gift of cramming a lot of requirements into a simple definition. I applaud you. if you know who wrote this, please drop me a line. See the benefits of an aviation SMS database solution designed specifically for these requirements. Not ready for a demo. Watch demo videos instead.